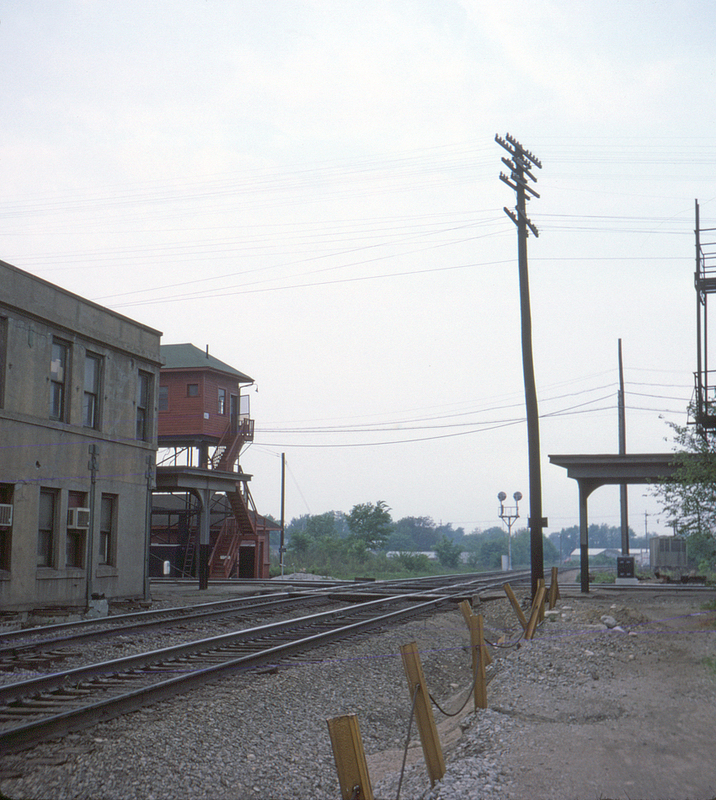 Marion, Ohio's AC Tower is visible at the left in this view looking north along the former Pennsylvania Railroad's Sandusky line. This is the line that was sold to the Norfolk & Western when it absorbed the Nickel Plate Road in 1964 and needed a way to connect the original N&W system with its new acquisition. The tracks crossing in the foreground belong to the New York Central's Big Four and the Erie (by now Penn Central and Erie Lackawanna, soon to be both part of Conrail).